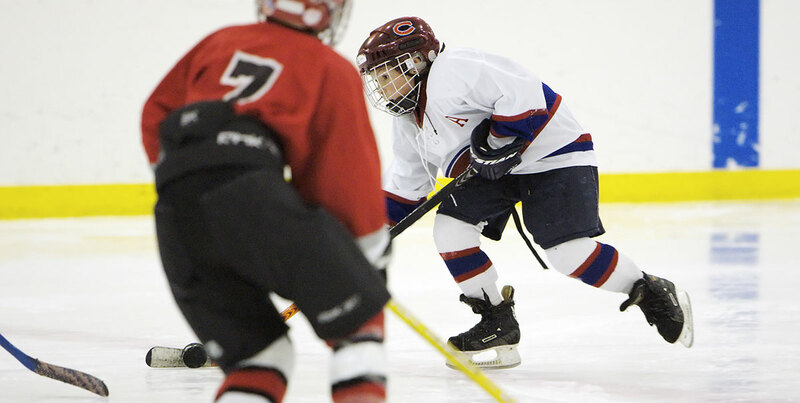 WHOLE-PART-WHOLE Practice Philosophy | Ice Hockey Systems Inc.
Hopefully you can start to see how this philosophy can relate to the design of a youth hockey practice. If you break the practice into three segments - Whole, Parts, Whole then you can use this framework to structure how you use your time. The first segment can be a game or concept that you throw at the players. No need to give them advice up front on how to do it well, remember we want them to interpret it in their own way, have fun, and let them struggle a bit. The coaches should encourage lots of effort and energy but stay away from coaching in this segment. This first drill, Protect It, can be considered to be used in this segment of practice because it works on puck protection and posession which is required for players to be successful in the Westminster 3 on 3 drill. If the players are having trouble maintaining posession and protecting the puck then this would be something to work on, and this is a drill where coaches can work on specific puck protection techniques. The Westminster 3 on 3 drill may also result in a lot of 2 on 1 situations. Based on how the players do with the 2 on 1's, both offensively and defensively, you can use the drill below to coach the players on 2 on 1 strategies. Now we re-visit a game or activity which relate to the drill in the first segment and will allow players opportunities to implement what they practiced in the "PARTS" segment. In the first segment it was important to let the players play and not stop play very often for teaching points because it was more important to evaluate where players needed the most work. In this segment it is important to stop the game at times to re-emphasize teaching points from the "PARTS" segment and how it relates to the game. The drill below is an example you can use for the third segment. It is similar to the drill in the first "WHOLE" segment but has a slight variation that still allows players the opportunity to implement what they learned throughout practice. Hopefully this gives you an overview of the WHOLE-PART-WHOLE practice philosophy. The examples given in this article are examples that are relevant for this type of practice philosophy and hopefully offer a clear example. Hopefully you, as the coach, can create your own practices based off of this philosophy. Do you have any experience with the WHOLE-PART-WHOLE practice philosophy? Do you have any information about this philosophy you would like to share? Please use the comment field below to post your thoughts.